Equestrianism – how to start? Return to Equestrianism – how to start? 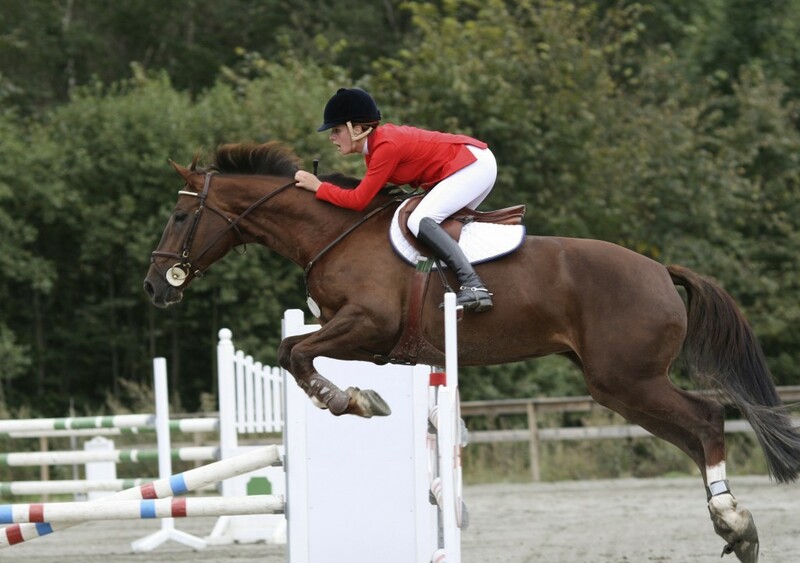 By admin | April 23rd, 2014 | Blog | Comments Off on Equestrianism – how to start? When they finally take the arduous , requiring many thoughts , decisions on the acquisition of the horse , we must also realize that this is only the beginning of our expenses . If you want to ride our horse , we need to equip themselves with the necessary equipment . The best place to be living riding and it is one where the addition of equestrian products for the rider will also find all the necessary equipment for our horse riding . I am thinking of saddles, bridles , saddle pads , blankets , pads , etc. . ‘s Important to buy a saddle Riding a stationary living room , since such equipment requires a precise fit . The most convenient way is to decide on the brands of saddles , which directly offer individual service they provide matching , such as the Prestige Italia. As for Derek and caparisons is undeniably the most popular , while a solid brand is ESKADRON. Eskadron saddle pads are famous because of their incredible durability and high quality workmanship , as well as blankets . What to buy accessories for the rider , then we can confidently use the online equestrian store . Nowadays, their choice is very large, therefore it is worth intensive search and do a thorough review of our products and the first place they should also pay attention to whether the article is available right away, or just to order. If so, to avoid disappointment let’s find out exactly how much is the waiting time for the ordered goods . The most important part of the costume is unquestionably riding helmet. And here we must pay particular attention to the way performance , quality of materials , or discipline to which the helmet is intended. This is definitely the element of equestrian equipment , which surely should not be saving , through the prism of our security. Suitable riding helmet , is the one which has certified , and meets all safety requirements and is perfectly mated . In practice, this means that the long-term use does not cause us pain in the head, which suggests that the helmet is too tight . It also can not come to such an event , that at the time horseback riding , a helmet is so mismatched that it falls to us to eyes, obscuring the view . Other components of the equestrian outfit as shoes, breeches and gloves are no longer so important . That does not change the fact that it also should be of the highest quality and a good fit. I always want to invest in clothing designed strictly for horse riding . In the case of breeches , with the exception of the model and model of your dream , think , or buy those with knee or with a full hopper . Both the first and second have their supporters and opponents. Desiring greater capabilities when driving , let’s decide on those with short hopper , while for a stable , strong and full pounce will be more appropriate breeches with a full hopper . The undeniable leader in this field will be offered by the company breeches and KINGSLAND, PIKEUR . They offer a very high quality of workmanship and materials and technologies , which we experience in any of the producers of equestrian clothing .